Gain confidence. Know yourself. Understand others. From a full timetable of lessons to a unique variety of outdoor activities, Summer School students leave Aiglon with a new perspective on what it means to develop themselves in mind, body and spirit. Whether you are considering applying to Aiglon's full academic year or simply want them to enjoy a few weeks of exciting and rewarding adventures, our summer programmes give children ages 8 to 17 the opportunity to experience the best of Aiglon and its unique environment. We offer two distinct programmes based on age and interest, each one combines Aiglon's unique ethos and expedition programme with a variety of course and activity options. Please review the options below and make an application today by clicking on the above button. This classic programme offers a focused morning course of your choice that will allow your child to broaden their language skills, or study a new topic. Each day then features a range of afternoon and evening activities within the framework of Aiglon's unique ethos and environment. 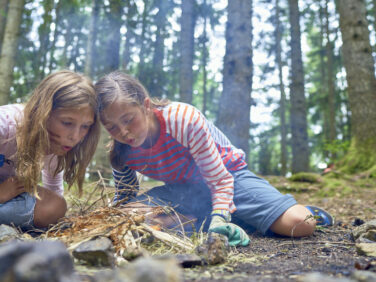 Each programme also includes an expedition to develop outdoor skills and enjoy time around the campfire. Students can come and stay at Aiglon for 2, 3, 4, or 5 weeks. All fees include 100Chf per week pocket money, which is given to students by their houseparent. Lean more about course options on through the "Morning Courses" below. Interested in Summer School, but not quite sure? If you are based nearby you can now give your child the chance to try any number of our "Taster Days." This will give your student the chance to spend the day at Aiglon, sampling the variety of activities and experiences. The cost is CHF 250 per day. Email [email protected] to express your interest. The Eagle is targeted to older students and offers them a greater challenge and set of opportunities. The programme is structured around a focused morning course of your choice followed each afternoon and evening by activities that work to challenge and develop your child in Aiglon's ethos. This Eagle also features a more advanced expedition to spend a night in the mountains. All fees (apart from the 1 week SAT course) include 100Chf per week pocket money, which is given to students by their houseparent. We like to keep our students busy and engaged. The entirety of each day is well-planned to offer students a wide range of activities, but also offer the necessary time for rest and recuperation. Below is a sample schedule to help you picture a typical day at Aiglon's Summer School. Rooms are shared with two or three other students of similar age in our boarding houses. We offer a continental breakfast that can be enjoyed in the boarding house, or a hot breakfast which is prepared in the School Restaurant. Students will have selected their course prior to the start of Summer School. Lessons are interactive and include a mix of indoor and outdoor teaching and learning. Fresh fruit and juice are provided, or students are able to spend their pocket money to buy a snack at the on campus "Cloud Cafe." Lunch is served in the School Restaurant – our team of chefs will make a delicious lunch for all to enjoy – with a range of choices it is both healthy and tasty! Students sit with their activity group and have the chance to discuss the afternoon plans with their group leader and activity leader. Houses are open again to students to collect their things and prepare for the afternoon activity. For these activities, students meet at a centralised point on campus, then the afternoon fun begins! The head chef at Aiglon overseas a menu focused on fresh produce and international flavours. There is also the Aiglon BBQ on some evenings, which is enjoyed alongside the amazing view! With inter-house competitions, sports evenings, climbing wall sessions, movie nights, BBQ and disco evenings the summer school evenings are lots of fun and everyone gets involved! Bed times (and other timings) vary slightly depending on student age. Please contact our Summer School Office should you have any questions.